Weight reduction and safety features are two of the main current demands from the Automotive industry. The introduction of advanced materials in the car body is an alternative to give response to these demands, with a clear increase of UHSS (ultra-high strength steel) components. The challenges associated with the transformation of these advanced materials also require important technological developments, since the processing of UHSS has little to do with the conventional steel materials. In that sense, IK4-AZTERLAN Metallurgical Technical Centre and TABIRA F.I. 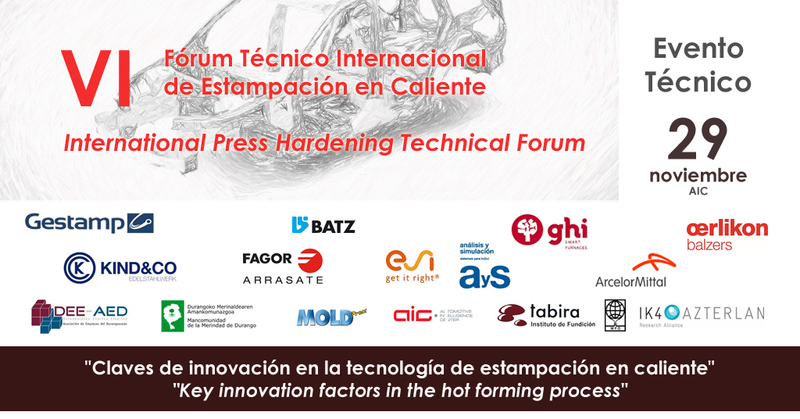 have organised an International Press Hardening Technical Forum taking place on November 29th at the Automotive Intelligence Center. 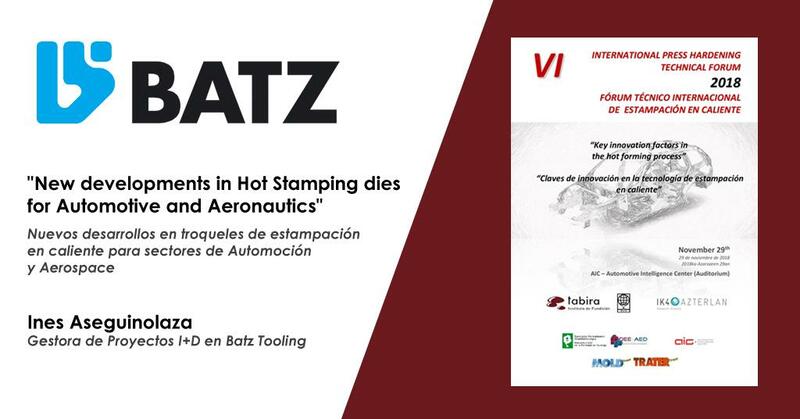 BATZ will be one of the specialist sharing its knowledge and technical experience in hot stamping dies for automotive and aeronautics.